Popular for its lineup of mainstream Agility and performance Vertex series of SSDs, California-based computer manufacturer OCZ Technology has announced through a press release the Synapse Cache 2.5-inch SSD. This new series is SATA III compatible and uses the SandForce 2281 NAND controller, which is similar other drives such as the Kingston HyperX, Patriot Memory and even OCZ’s own Agility 3. As for specs, the OCZ drive provides maximum read and write speeds of 550MB/s and 510MB/s, respectively, a maximum 4KB random read and write speeds of 75MB/s and 320MB/s, respectively, and is 256-bit AES-compliant. Two initial models will be made available at 64GB and 128GB. Their performances differ slightly, so be sure to check out the official product sheet (PDF) for more information. The Synapse Cache SSDs are available now through OCZ’s global channel, at least according to the press release. Unfortunately as of this writing, major online retailers such as Newegg and Amazon are yet to have any in stock. Regardless, each drive will be backed with a 3-year warranty and includes a 3.5-inch adapter bracket for desktop use. An actual HDD to pair with the SSD is sold separately, of course. 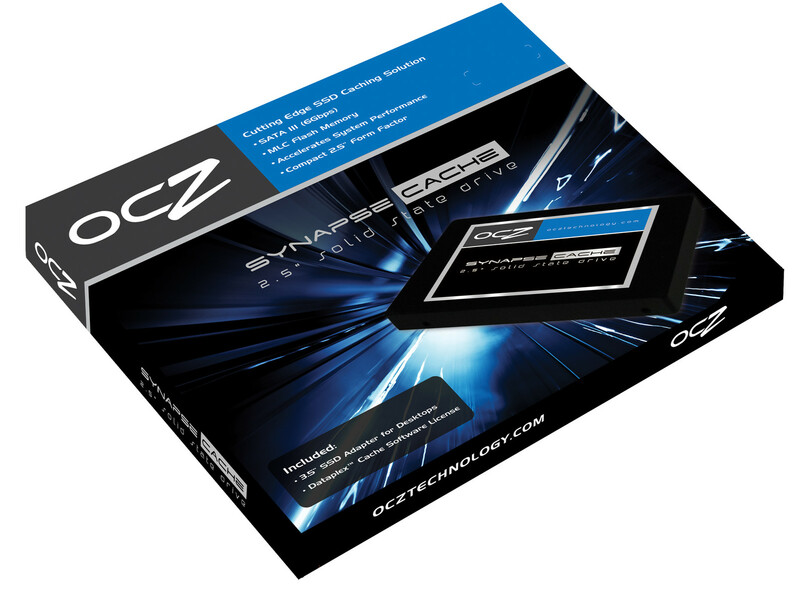 The official product page for the OCZ drives can be seen here. 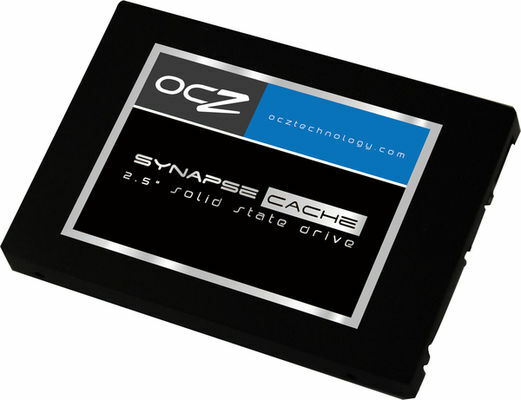 SAN JOSE, CA—Sept 20, 2011—OCZ Technology Group, Inc. (Nasdaq:OCZ), a leading provider of high-performance solid-state drives (SSDs) for computing devices and systems, today launched its Synapse Cache Series 2.5” SSDs. 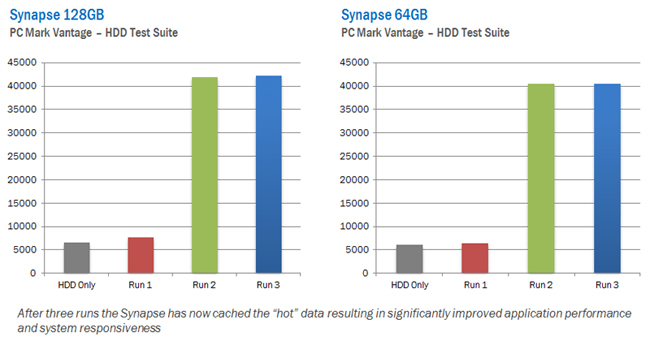 The new Synapse SSDs are optimized for caching applications and leverages Dataplex™ cache software to dynamically manage the Synapse SSD in conjunction with standard hard disk drives (HDDs), to provide users with SSD-level performance across the entire capacity of the HDD. This comprehensive caching solution prioritizes the most frequently/recently used “hot” data on the Synapse Cache SSD, while “cold,” less frequently used data is stored on the larger capacity HDD. The OCZ Synapse series features the latest and most advanced hardware and software technology to deliver superior storage performance without sacrificing HDD capacity. 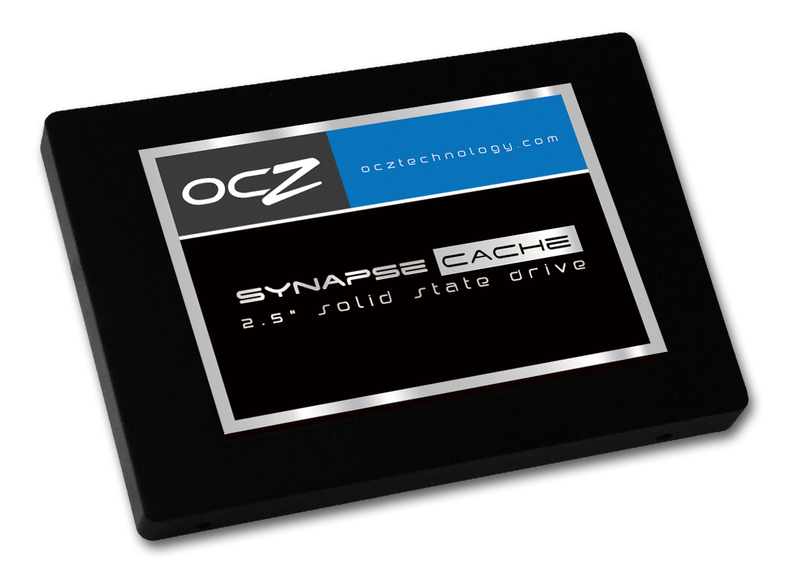 OCZ Synapse Cache SSDs are available now in 2.5” SATA III 64GB and 128GB configurations throughout the company’s global channel.